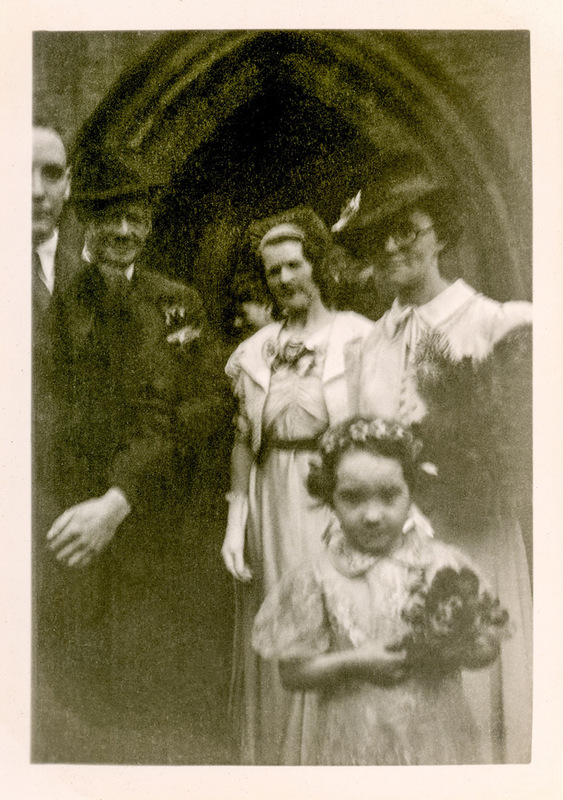 Ever since Louis Daguerre first dabbled with a daguerreotype and Henry Fox Talbot first tinkered with a calotype, photography has been just as an important part of weddings as confetti and cake. 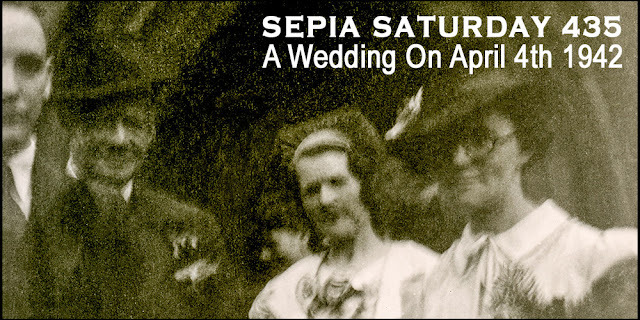 Our Sepia Saturday theme this week features a wedding party posed on some steps; a pose almost exactly matched by a wedding party I went to last weekend. 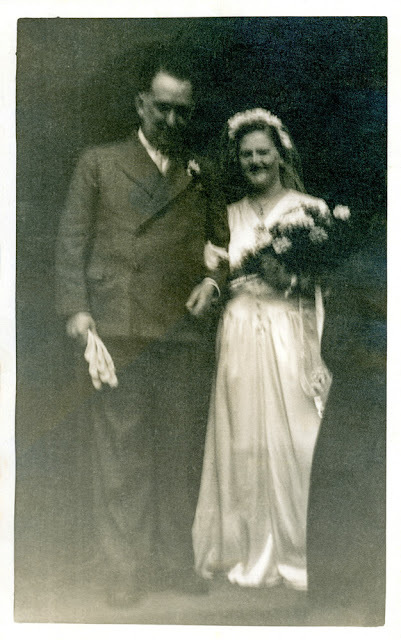 My contribution is not from that wedding however - it won't qualify as a sepia image until the happy couple celebrate their golden wedding - but from one that took place 76 years ago: the wedding of Frank Fieldhouse and Miriam Burnett. My two photographs featured in one of Frank Fieldhouse's inimitable albums and are captioned in his equally inimitable way: "A Wedding On April 4th 1942 .... Mimi and Frank went ..... so did others"
Compared to the photographs taken at the wedding I attended last weekend, these two snaps are faded, dull and of dubious quality. Perhaps it is right, however, that photographs fade in pace with memories. The smile of the bride, the pride of the groom, the pleasure of the guests, the nerves of the little bridesmaids are all elements that transcend both time and photographic technology. Blurs were completely understandable, since everyone's hands became a bit shaky for one reason or another...but the capture of the occasion on film was successful. Kudos! Taking a photo then was not as easy as it is now and a blurry image is not unusual. It reminds me of the Dad's Army episode where old Mr Bluett is trying to take Corporal Jones photo, telling him 'you have to keep still' whilst his own hands are shaking something rotten! Great photos though especially that little bridesmaid in the last one, bless her heart. Memories in photos are great whether in perfect focus or not because at least you have them to remind you of the important people in them! Auntie Miriam...glad to see her back. It's been a while. I love Frank's captions. Are blurry old photos made better by memory or are fading memories improved by the photographic evidence? In olden times people didn't have this option, and instead resorted to the word. "Let's ask grandpa. He'll remember! He wrote it down somewhere." The blurring adds a cinematic effect and seems to capture motion in an otherwise static set of poses. A blurred photo can also be utilized by an artist to render the scene. These photos cry out for replication in pastels. White Gloves in Frank's hand? 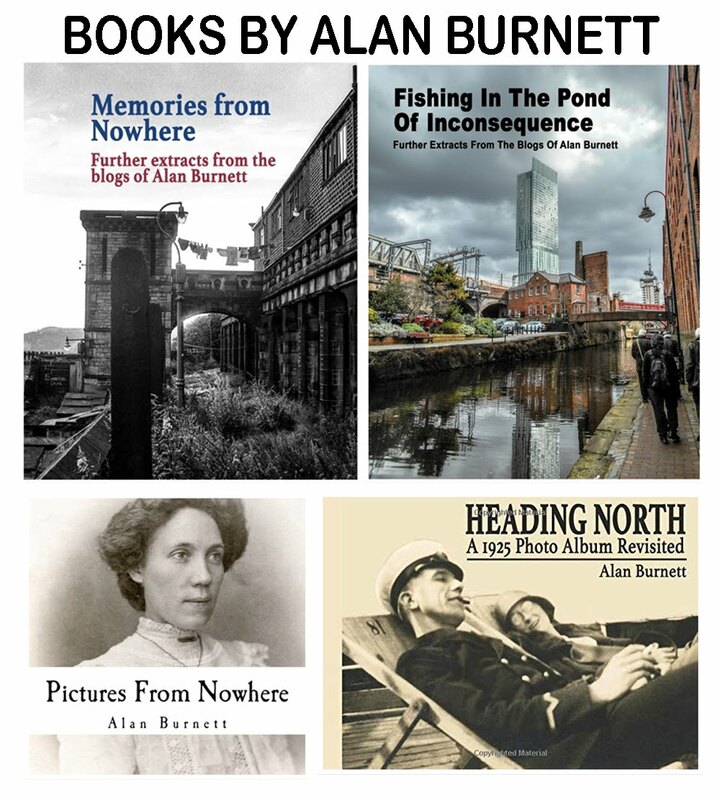 Yes I guess your right Alan , photos fade with the memories...although the nerves do too!